Royale International: What is Finished Good Supply Chain Operations? There are lots of activities involved in the finished goods supply chain. The supply chain is from the delivery point of the plant to the point of sale, involving movement, the storage an d the distribution of goods. The complications increase when the supply chain involves global activities. This is due to the added complications of the variations in regulations and practices involved in each country’s logistics. To understand the processes we shall be taking a brief look at computer hardware. Computers have a short life span, the technology is forever changing and new models are being released to keep up with the advancements and customer demand. When thinking up the supply chain strategy for the finished goods in computer hardware it’s necessary to avoid problems with obsolete inventory. To overcome this problem computer hardware manufacturers have set up a strategy involving various assembly parts in multiple countries in order t o supply the global market. Desk tops are using build to stock model where as laptops and other products are using the build to order model. In addition to the two supply models the manufactures also have to manage the different product lines such as printers and consumables. It is down to the common supply chain division and logistics service departments to keep control of these various divisions. It is the third party logistics providers that bring all the required parts to the manufacturing plants where the products are assembled. The third party logistics providers have regional distribution centres and stocking points when the items are shipped out to the distributors who then control their own logistics to ship the assembled products to reach the customer point of delivery. The kits can all be assembled and relabeled at the distribution centre ready to be shipped as one item. This involved intensive inventory management processes, requiring the SKI to be converted from individual items to bundles or kits. When dealing with finished good supply chain operations it’s necessary to capture the serial numbers when being dispatched from the distribution centre so the warranty tracking us up to date. 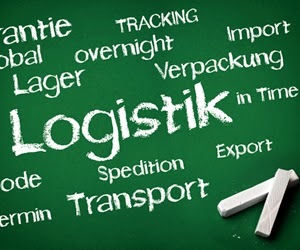 Being involved with the processed and interactions with the third party logistics providers helps to ensure the service levels are achieved with training and audits.